Other than our homes, a car is likely to be the most expensive thing most people buy. Combine that financial commitment with the many different practical requirements drivers have, and it’s important to ensure that you’re confident a car is right for you. The best way to do that is by test driving it. 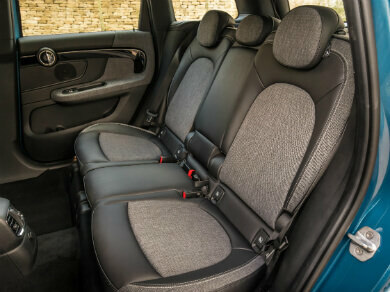 It can help ensure drivers don’t end up stuck with a model that’s noisy, uncomfortable, impractical or quite simply, not as good as another car. All reputable dealers will arrange a test drive for buyers. After all, as the old saying goes, a good car will sell itself. And drivers are much more likely to buy a car once they’ve put it through its paces. Here’s how to take the perfect test drive at a dealer. Say you’ve got your heart set on a Mini Cooper hatchback with a petrol engine and manual gearbox. 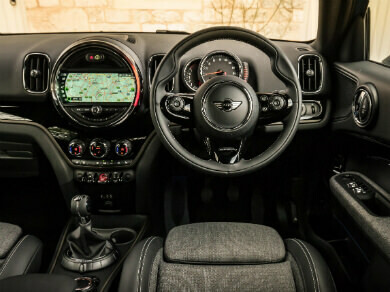 It wouldn’t be particularly helpful to test drive a Mini with a diesel engine and automatic transmission. Check with the dealer that you’ll be able to drive the same make and model of car that you are intending to buy. There’s no need to be overly concerned about gadgets and gizmos. If they don’t influence the way the car behaves on the road, there’s no need to experience every option. Torn between two different cars? To truly appreciate the differences between one car and another, drive them on the same day. That way, everything will be fresh in your mind and winning features, or annoying quirks, will be more easily revealed. When making arrangements with a dealer, ask to have at least an hour to test drive the car. Some may let customers take it unaccompanied; others like to be present to answer questions and demonstrate a car’s features. Try to use the car as you would normally. If you commute to the office, or use it for the school run, replicate your type of journey. Alternatively, if you spend most time on main roads, plot a course that takes in A-roads and motorways. Driving the car gives you the opportunity to be certain that it will be comfortable to operate. Ensure the seats and steering wheel adjust to your liking. Check you can see clearly out of it – for example, over your shoulder when changing lanes. And make sure the layout of the pedals doesn’t leave you with an aching knee and the seat doesn’t make your back twinge. Can you fit your life into the car? If you know the feeling that comes with trying to cram a holiday’s worth of clothes for the family into an undersized suitcase, you’ll be able to imagine what happens if you buy a car that turns out to be impractical for your needs. Drivers who have young children should bring along any child seats and pushchairs, to check they fit in the car comfortably and safely. 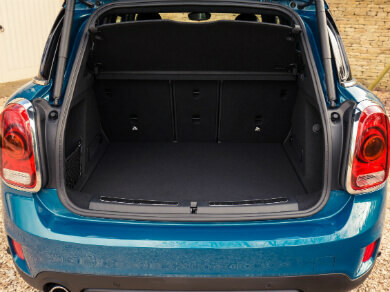 Alternatively, if you often give friends or family a lift in the back seats, try them out for size yourself. Look around the cabin at all the door bins and lidded compartments. Are they enough for your needs? Is there’s somewhere to rest and charge your phone? And can you fit your favourite reusable coffee cup into the cupholder? Increasing numbers of cars come with Bluetooth technology, to allow drivers to make hands-free phone calls or stream music. Check that your phone connects seamlessly with the car’s ‘infotainment’ system. And if there are voice-activated features, give them a try. You should also be confident that everything works and you understand all its features. Try all the button and switches, ensure they do what they’re supposed to do and ask the dealer to show you how many features you’re not sure of work.